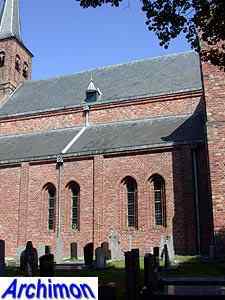 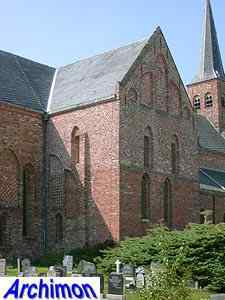 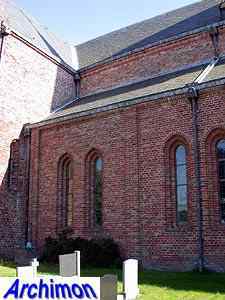 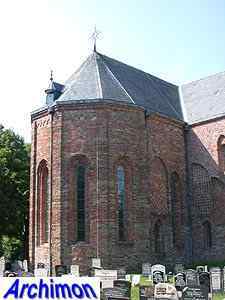 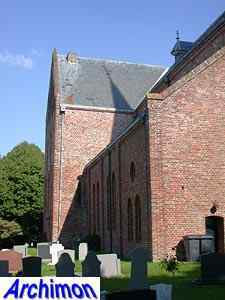 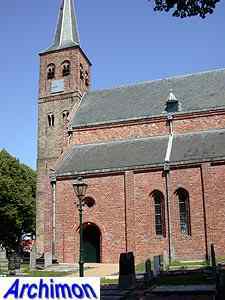 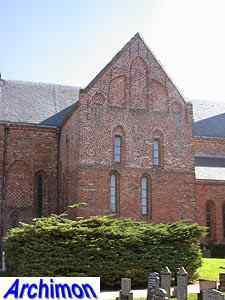 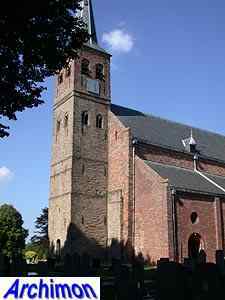 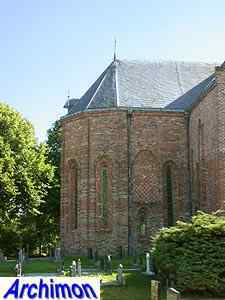 The church of Burgum, or Bergum as it is called in Dutch, was built as the church of a monastery and is the only part of it that remains. 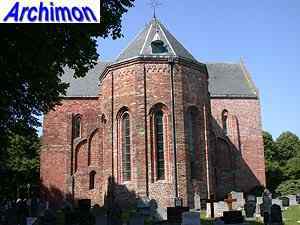 It dates back to the 11th or 12th century and was rebuilt several times. 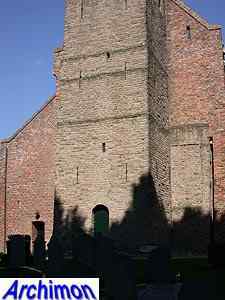 The oldest parts are the tower and part of the west facade. 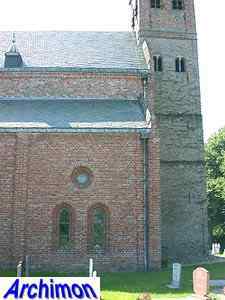 The tower is in Romanesque style and is built of tuff. 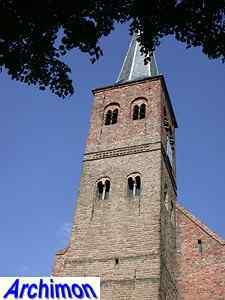 In the 13th century, when the church was enlarged, the tower was heightened with a fourth segment built of brick. 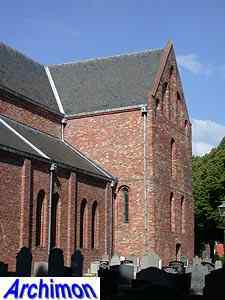 Originally the church was smaller and probably only one aisle wide. 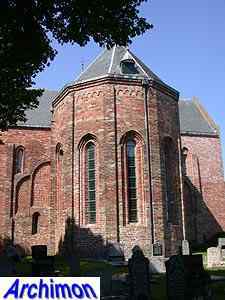 It was replaced by a higher three-aisled church in Romanogothic style. 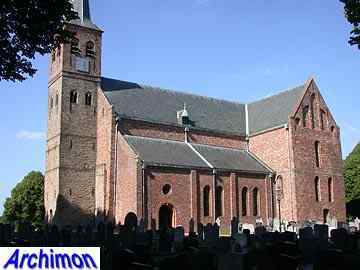 Of this church only the choir remains intact. 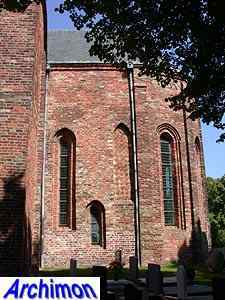 This part of the church is decorated with the niches and friezes typical for this style. 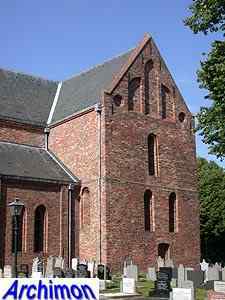 In the 14th century the transept was added, replacing part of the side-aisles. 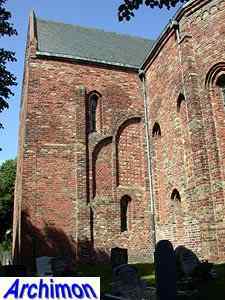 The east ends of the side-aisles, which are also decorated in Romanogothic style, were incorporared in the eastern walls of the transept. 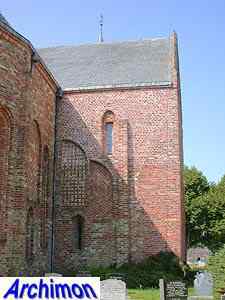 The rest of the transept is in a much simpler style, with decorative niches n the gables only. 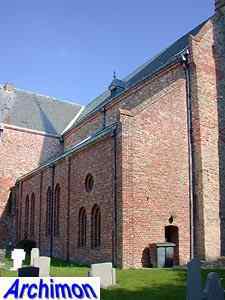 It's unknown what the nave exactly looked like. 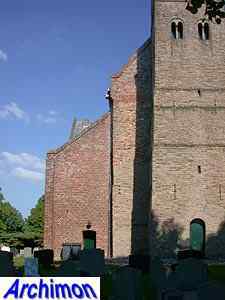 The side-aisles were demolished in 1610-1611, after the building had become protestant. 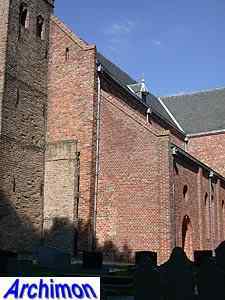 The current side-aisles are reconstructions, added during a major restoration in 1952-1957 for both esthetic and technical reasons.